The dentists play a major role in maintaining good oral health for their patients. Apart from regular teeth cleaning, bonding and cavity filling procedures, they offer other complex procedures. That includes the root canal, wisdom tooth extractions, and dental crowns. The dental crowns are made in many forms. They offer a good alternative for people with missing or weak teeth. The following are the functions the crowns serve. The dental crowns are also known as the cap. A crown is a prosthetic object. The dentists cement it on the tooth. After being placed on the teeth, it can only be removed by the dentist. The cap is used by the dentists to cover a damaged tooth. The covering improves the appearance of the tooth and strengthens it. Hence, it aligns with the damaged tooth on the jawbone. Crowns are made on demand. The dentist must ensure that its color resembles the natural teeth of the patient. That is very important since it prevents people from detecting if the patient has crowns. The size of the damaged tooth is reduced to enable the crown to fit on it properly. After that, an impression of that tooth is taken to create a crown. The dentists can place a temporary crown while making a permanent one. Ceramic crown -The ceramics are perfect for restoring missing or damaged front teeth. They are a perfect choice since they can easily blend with the natural tooth color. The particular crown is made from porcelain. Porcelain fused to the metal crown-This crown has a stronger bond than the regular porcelain. That is because it has been connected to a metal structure. The metal makes this crown more durable. Gold alloys-This crown is a mixture of copper, gold, and other metals. The crown offers a very strong bond to the tooth. It does not fracture or wear the tooth. That is why it is very durable. The golden color makes it stylish too. Base metal alloys-It consists of metals that make up a very strong crown. These metals are highly resistant to corrosion. Before fitting the crown, the least healthy tooth ought to be removed. The filling materials and strength of the tooth affect the sealing capability of the porcelain crowns. The other three crown types provide a better seal against damages. 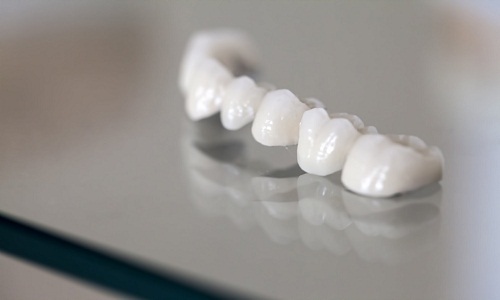 The gold and metal alloys crowns are highly durable compared to porcelain crowns that are less strong. They might damage the tooth when grinding the teeth. However, the porcelain that is fixed with metal is more durable.